CinSulin Review (UPDATED 2019): Don't Buy Before You Read This! 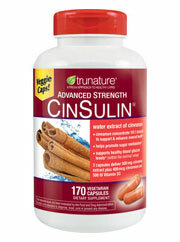 CinSulin is a patented weight loss ingredient made to lower blood sugar, while also reducing body fat. It’s currently found in 3 different weight loss supplements, all which feature this ingredient as its main additive. This ingredient is a treated form of cinnamon, said to have all of its benefits, without any side effects. It claims to have studies showing a benefit for stabilizing both glucose and insulin, all while helping reduce stress buildup in the body. Are any of these claims actually true? What have others experienced from this ingredient? This CinSulin review will help you understand whether or not this is a safe and effective ingredient. Cholecalciferol: A form of vitamin D3 that’s used to help the body absorb phosphorus and calcium. It’s also used as a rodenticide, since large amounts of it can cause cardiac failure, renal failure, and hypertension. Chromium Picolinate (Chromax): A patented form of chromium picolinate, which is a mineral added to help reduce blood sugar, improve the brain and immune system, and to help with reducing appetite and weight management. Skin irritations and allergic type reactions. Mood changes and impaired thinking. In certain people this ingredient isn’t very effective. Also, chromium can be replaced with whole foods. Cinnamon bark Extract (CinSulin): Patented form of whole cinnamon bark that’s treated with heat and water to reduce the possibility for allergic reactions, blood coagulation, and irritations in the mouth. This patented form is said to keep the positive traits of cinnamon, while removing the potentially harmful parts out. So it’s meant to be a more potent cinnamon supplement than any other regular untreated cinnamon brands. No direct links to these studies are featured. One has to do their own research to try and find these studies. In researching clinical studies, there was one study performed on 22 people, which showed benefits to fasting blood glucose and systolic blood pressure. So there’s not enough information yet to show what kind of an effect this might have with continued use. The lack of information makes it impossible to determine if this would be any better than regular cinnamon. The manufacturers claim 5 studies have shown this ingredient to be safe, but these studies admit more needs to be researched to prove this claim. With the small amount of studies performed, it’s not enough to fully determine what it might produce. These types of studies done on small groups of people aren’t enough to fully verify results, and it wouldn’t be accepted in a true scientific manner. FBG stands for fasting blood glucose. This means that in this study, it was revealed that other clinical reviews have shown no effect on the main intended purpose of this ingredient. Without this important proof, it shows that there are conflicting studies about the effectiveness of this ingredient. Without much more data, it’s impossible to fully determine what kind of an effect this ingredient would have. Hypromellose: Inactive ingredient added to thicken and emulsify the ingredients. It’s semi-synthethic, and is also used to help make the ingredients process better in the body. CinSulin itself is lacking enough long-term studies that show it to be effective. Since you can’t purchase this brand by itself and only in supplement form, you have to find one of the supplements, which have added ingredients. The maximum strength brand by Trunature has 4 inactive ingredients, vitamin D3, and the mineral chromium picolinate. They’re all added to have a stabilizing effect on blood sugar levels. Though this effect is possible, it’s still not a potent supplement for weight loss. Vitamin D3 and the chromium extract can also be found via common foods. CinSulin needs more studies to show if it’s any better than regular cinnamon, which would be much cheaper to substitute. From the information available about the use of this ingredient, there’s a lack of data about long-term effects either good or bad. A 170 capsule bottle taken at the maximum 2 a day sells for $19.99. This means you get 85 days full of product. Though, since the key active ingredient is CinSulin which has yet to be proven in long term studies in terms of effectiveness and safety, it’s unknown if regular cheap cinnamon would be a better substitute. Cinnamon in large amounts may be unsafe, though this brand claims to be safe to use due to the way it’s treated. However, more information needs to be revealed to show whether this would be beneficial enough. Cinnamon isn’t an entirely powerful ingredient for weight loss. This is meant more to support weight loss alongside diet and exercise. That’s why on the official website for these brands there’s a suggestion to include diet and exercise. On its own, it’s meant more to help regulate blood sugar. Though this same effect can be replicated with regular forms of cinnamon. No information about any of the companies polices are featured anywhere. Though they advise for any and all questions about this ingredient to be made to the above number. Though some people said they noticed a change in blood sugar via lab tests, the majority of people said they had no weight loss benefit at all. It’s still unknown from judging by the customer reviews if simply eating regular cinnamon would be a cheaper alternative. Until more is revealed about this patented ingredient, it’s unknown if it’s worth the cost. Conclusion – Does CinSulin Work? Before you make a final decision on CinSulin, it’s important to keep in mind the studies that reviewed it. Though there was a benefit for controlling blood sugar, it’s unknown if this is any better than regular cinnamon. There’s also a lack of weight loss effects according to most customers. Clinical studies on this ingredient have also revealed that those who reviewed it have admitted more studies need to be completed. From the lack of information provided, it’s still unproven to be safe or effective. When looking to lose weight, a much more potent effect is needed for appetite reduction, fat loss, and overall weight loss support. 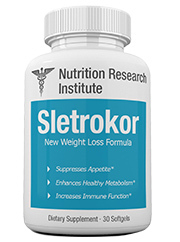 The very best brand that won the 2019 supplement of the year award is Sletrokor. It ranked highly due to its all natural, stimulant free formula that is made with potent and effective weight loss ingredients. That’s why customers have left testimonials on the official website, discussing all the benefits of taking this supplement. People also mention that they’ve felt noticeable differences, such as appetite reduction and better control over the foods they eat. 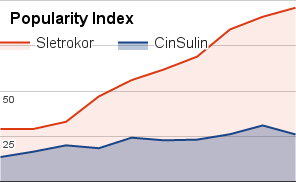 You can try Sletrokor risk free, since it’s backed by a 30-day money back guarantee. I don not like this product, their method of website is poor! My friend had a terrible response to this worthless product with problems in stomach and had a chellenge customer support!Do not take this product unless doc approves CinSulin!